In the recently concluded Nepal’s Constituent Assembly (CA) Election, the Maoists were routed. The Nepali Congress and Communist Party of Nepal (UML) reversed their performances, while the United Communist Party of Nepal (Maoist), UCPNM, the biggest in the previous CA, came a distant third. The Maoists cannot blame anyone but themselves for the loss. They fell victim to their own doing or not doing anything at all. The leaders turned their backs on the warnings boldly written on the walls. Instead, they painted the walls of unfulfilled promises with new and eloquent slogans. In the process they forgot that they were trying to fool the same people who they themselves trained not to be fooled during the decade long People’s War. Broadly, there are three main reasons for their poor performance. Firstly, they overestimated their influence in the Terai (plains). In 2007, the region witnessed a big movement for Terai people’s rights. The major force behind the movement was Madhesi Jana Adhikar Forum led by its charismatic leader Upendra Yadav. Upendra Yadav was trained in the Maoist school of politics. A protégé of another big leader of the Madhes, Matrika Yadav, he rose to higher echelon of the Maoist leadership before his sudden fall. In the last phase of the Maoist Movement, he was charged with leaking information about the top leaders’ to Indian intelligence. Nevertheless, he survived the chase. In 2007, Yadav emerged from oblivion as an undisputed leader of the Madhesi people. When the Maoists dropped their arms, his Forum took up arms against them. Same year in March, the Forum activists murdered 27 people, including women, in Gaur. Those killed were mostly the Maoist sympathizers. The massacre served its purpose when the then government sent an invitation for talk. The talk concluded with 22 point agreement which included martyr status for people killed during Madhesi Movement (Forum activits) and closing all the cases included the Gaur massacre case. The Madhesi movement which, as is believed broadly in Nepal and elsewhere, emerged on Indian support, started degenerating quickly. For India it had served its purpose and considering the geopolitics pros and cons India could not afford to feed another LTTE. The Forum began to shatter and in five years nothing remained of its 2007 avatar. The Maoists fancied their chances on the ruins of the Forum. They thought they could fill the void left by the Forum. However, the Madhesi people thought otherwise. Instead of showing confidence in the Maoists they chose their old friends. The Nepali Congress was able to win back its lost territory. Baring a small period, the Madhes had always been a stronghold of the Nepali Congress. Hence, the Maoists’ gamble in Madhes didn’t pay. Secondly, the Maoists tasted defeat because they ignored their own cadre. In Nepal, it is the cadre who win election for a party. The Maoists completely sidelined their cadre’s aspirations. They traded tickets for money and might. Thus, the alienated cadre didn’t whole heartedly campaign for the party. In few places there were news of revolts too. Lastly, the split in the party was the most important reason for its defeat. In 2012, a strong faction of the party led by senior leader Mohan Baidya ‘Kiran’ split to revive the old ideals of the party. 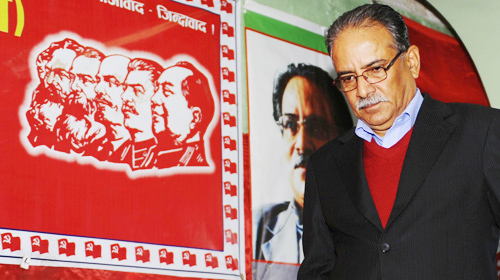 They named the new party, the Communist Party of Nepal-Maoist (CPNM). The new party ably united all those who either felt that the old party had deviated from its goal or who felt ignored by its leadership. The majority of the people who extended their support to the new party were the same people who formed the main base of the People’s Liberation Army of the Maoist party and worked in the ground during the Maoist movement. These people know nothing but to ceaselessly work, as they claim, for the people. Since 2008 there were very few leaders who visited their respective constituencies. The people were outraged with their representatives. Sensing the opportunity, the new party immediately began to fill the leadership gap. In less than a year the party became a force to reckon with. It organized many successful bands (shut downs) and forced the government to initiate dialogue and later it led the election boycott movement with relative success. It was not that the UPNM did not know the ground reality. It did. Based on the reports from its members it decided to concentrate on the Madhes instead of its old stronghold in the hills. Many big leaders filed their nomination from more than one place. Even big shots like Prachanda and Baburam Bhattarai contested from two places. And wisely so, because both of them lost one of the seats they contested. Prachanda lost from Kathmandu 10 and Baburam failed to win from Rupandehi 4. Post election, it is too early to predict anything for UCPNM. During its long existence in Nepal’s political theater it has seen many ups and downs. However, in the present crisis it is without its old guards who have always sailed it through. The present leadership mainly consists of those who either joined the party in the middle of the movement or after. Of course there are people who fought the battles but they still don’t actually possess the political depth required to deal in the time of crisis. Hence it will be wise to just say that after the election the battle of survival for the Maoists has just began. This entry was posted on December 2, 2013 at 2:38 pm	and is filed under Nepal. Tagged: Communist Party of Nepal, Communist Party of Nepal (ULM), Madhesi people, Maoism, Maoist, Nepal, Nepali Congress, UCPNM, United Communist Party of Nepal (Maoist), Upendra Yadav. You can follow any responses to this entry through the RSS 2.0 feed. You can leave a response, or trackback from your own site.